Well, I guess, you are looking for the best free blogging sites on which you can start your personal blog, Right? In the world of Internet learning & earning, people are earning millions from the comfort of their home. And, I am glad you took the first step to find some actual free blogging sites. Hence, first of all, let’s talk on the blog categories which comes in two forms namely free one and self-hosted ones which are premium. And as you know, for premium ones, you will have to pay those extra bucks to avail the services. 1.1 How will your address look like with free Blog Sites? Still, there is good news for you as there are plenty of free blogging sites with which you can actually start your blogging journey. And, guess what? You don’t really have to pay the extra money and you can write your blogs, “YOUR WAY”. Hence, let us move ahead and discover the Top 15 Sites which can actually help you create personal blogs, the easy & of course, the Free Way. How will your address look like with free Blog Sites? First of all, on free blogging websites, you will definitely get a sub-domain which you can use as a personal blog address. For example: In case if you are trying to register tryootech.com on a wordpress.com website, ultimately, your address will turn out to be tryootech.wordpress.com. Hence, at the end of every domain, WordPress or any other platform name will be added in a free sub-domain system. Well, the list of the top free blogging sites will always start with Blogger website platform. On a clear note, Blogger is one of the most used platforms all over the world. And, is still on the verge of expansion. Definitely, when it comes to creating free personal blogs, Blogger has to be the number one in any case. Hence, with an intention to let you know more about Blogger, let us move ahead and uncover some of the Pros and Cons for the same. If you are using Blogger, getting Adsense approval is pretty easy as a blogger is controlled by Google. In Blogger, you can create blog posts, add images, videos to your post and make it look attractive. You can make use of different monetization platforms on Blogger like Amazon, Adsense and other affiliate programs. You can customize the blog design as and when you desire. At present, there are thousands of templates available on Blogger. And, being a person of creativity, you can make use of any platform, with ease and comfort. That one limitation which Blogger has is that you don’t have total control on your website. Hence, Google has the rights to remove your website as and when they think, the reason is correct. Also Read: Checkout which is best platform for blogging (WordPress or Blogger)? Now, after Blogger if there is one platform which is the most popular, WordPress has to be the one. It is one of the most reliable blogging platforms and is being used by freelancers, companies and bloggers all over the world. Here, with the help of WordPress, you can easily create your personal blogs, either professional or mediocre level, all depends on you. Further, WordPress comes with tons of features, themes and plug-ins which will certainly amplify your blogging experience. Still, if you are using the free version of WordPress, you will get few options but blogging will still be fun and full of enthusiasm. In addition, you can even use WordPress Blogging software on your custom domain where you can download it from WordPress.org. Installing themes and plugins options will not be available to you. However, you can still access WordPress free themes and install from the given set of options. Still, if you are really passionate about blogging, starting with the WordPress free version is always a blessing. And sooner, you can buy the premium one or set your custom domain and make your website, look much more professional. LiveJournal is available in the free as well as paid version. Hence, if you want to keep your LiveJournal blog free from their advertising, you will certainly have to buy the premium ones. But, as you know, we are talking about the best free blogging sites and that’s what we will tell you for LiveJournal. Over 15 million people use LiveJournal to create free blogs and you can use the same to some good effect. Hence, in case, you are not comfortable with English, you can use other languages and start your personal blog. In case if you don’t know, LiveJournal is a Russian networking service. Although it’s not a major con, you will find plenty of Russian contents, news and so on. Alike Facebook and Twitter, Tumblr is also a Micro-Blogging niche and is one of the fastest growing websites at present. As per my observation, it seems to be as a mixture of Twitter, Blogger and Facebook and looks appealing. In case, if you want to create a site more about visuals, Tumblr can be the ultimate choice. Tumblr gives you the privilege to make your images look appealing, classy and attractive, all at the same time. Further, you can even include images, videos and music right from the first word, “GO”. Finally, from the list of available free blogging sites, Tumblr is one of the best platforms to start your personal blog, the efficient way. 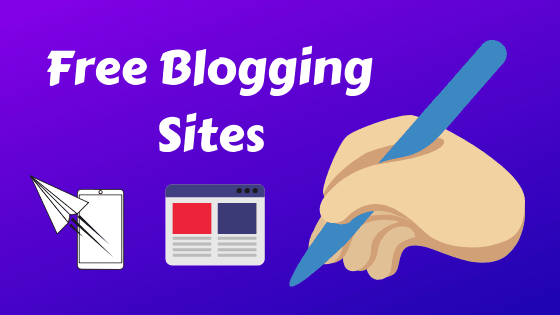 In case, if you are looking for a list of free blogging sites which can give you free templates, free hosting and an easy web builder, give Webs a heck try. After which, you will surely be amazed by useful features, it brings on the table for you. A limited set of features available with the free plan and premium features starts at $6 per month. Here, you can get different features such as unlimited pages, webs branding eliminated, password protected pages, 1GB Storage and much more. Talking about the California-based company will bring Weebly.com into the limelight. Yes, it was started in the year 2006 and right in 2007, it was named among the top 50 best websites by the Times. Weebly is a much popular platform which is free and is used by people to create free blogs on the go. Currently, they are hosting personal websites of over 10 million people which is quite stupendous. Hence, you can publish your content on Weebly sub-domain. Or else, you can even post content on your custom domain and you will not be charged anything for that. Further, you can drag, drop items, create menus, pages and categories based on your personal choices. Storage space is limited and you cannot really start a professional blog on Weebly. In case if you want to start a professional blog, you will have to purchase a premium plan. Ad displays on the free plans which can sometimes annoy a user and will not give smooth experience to website users. In case if you ever want to write your personal blog, take a look at the Penzu blogging platform. It is one of the coolest free blogging sites which gives you the privilege to post journals on your blogs. Further, you can even upload unlimited images as the server provides unlimited storage for its users. All over the world, Penzu is used by around 2 million people where you can peacefully write your personal blogs. Penzu offers you a military grade 256-bit AES encryption with which you can easily encrypt your data. The Free Plan of Penzu doesn’t allow the users to create multiple journals, journal customization and added security. Well, this amazing listing of free blogging sites is almost incomplete without Squarespace. Yes, it is one of the easiest ways to create your own website in a pretty quick time. Further, you can customize your website as per your will and will be able to do everything you were looking for. For photographers, it is one of the most well-known platforms where people are earning a substantial source of income. In addition, Squarespace offers different templates which can revamp your site and make it look pleasing and amazing. Ranging from online stores to marketing tools, you can find almost everything on Squarespace. Gives free access to Google fonts with which you don’t need to use Google Fonts or any additional plug-in. At present, over 12 million people use Yola which makes it one of the best free blogging sites in the current world. Further, Yola is even available in six languages such as French, English, Italian, German, Spanish and Portuguese. The website builder you get in Yola is a mere simple and easy one. Here, you can add different features, styling and contents to your site. Further, you even get drag, drop functionality with which you can add widgets as and when you want. As the name says, if you are into education niche, Edublogs can be one of the best free blogging sites for you. Here, if you are studying in a school, college or University, you get the chance to create your blog for free. Currently, the site is holding around a million educational blogs and is still on the verge of expansion. Biggest reasons which can make you write blogs on Edublogs is their access to themes, plugins which are meant for education. The biggest drawback of edublogs is that they don’t allow search engines to crawl their website. Hence, you will need to publish your content and depend on social media to attract visitors to your site. Storage space is pretty much limited where you only get 1GB with the free plan. Well, talking about one of the best free blogging sites will bring Wix straight into the limelight. In case, if you are looking to build a stunning website, you can easefully make use of Wix. Here, you don’t need to code a single line and the drag, drop functionality will do everything in an easy manner. Wix is an altogether good website builder which can help you to create your dream website, within minutes. As per the reports, 103 million users are already registered on Wix and every day 45,000 users are joining Wix. Using Wix Apps Market, you can easefully add different functions to your websites such as live chat support, email marketing, newsletter, testimonials, booking, scheduling, reservation, pricing tables and much more. If you are using Wix’s free website, you will get different ads on your website after you will publish your article. Hence, to remove ads, you will have to upgrade to the premium plan, where the Combo package is the cheapest of all. Being one of the fastest free blogging platforms, Medium has surely captured the pace and is on the road of expansion. Here, you can create your own stories and have your individual personal space on the Internet. Hence, you can just create your account for free, contribute your content and share it on different social media platforms. Content is served by different secure medium servers. You are not the owner of Medium as it is owned by ‘A Medium Corporation’. Hence, they can decide to shut down your writing work, as and when they think is the right time. Wondering about one of the simplest and free blogging sites? Well, take a look at Ghost platform. Here, you can use this platform to quickly build your website right from scratch. Or else, if you are hunting for a better version than WordPress, Ghost can be a great choice to start your own Blog. Further, it comes with a beautiful and elegant design layout where you get the privilege to use a pure blogging platform. It is one of the best blogging platforms which makes use of an external note organizing program known as Evernote. Hence, with Postach, you can easily create your very own Blog posts and can manage your content with ease and comfort. In case, if you are willing to sign up for a Postach account, you will need an Evernote account to do the same. Are you in search of a hassle-free blogging platform? If your answer is Yes then Jimdo can be a good choice. Hence, if you ever want to build an online shop, Jimdo can help you make it to an absolute level of perfection. With Jumdo, you don’t need any coding knowledge and the simple drag, drop builder tool can help you create your site, the easy way. Firstly, you don’t have got any control over the address of your blog. Hence, blog owners can delete your blog as and when they want. Most of the free blog will allow you to post contents in the form of pages and blog posts. Yes, you can add videos, images and other media elements to your blog without any issue. You can’t really upload a theme or template created by you on a free blog. Still, on Blogger, you can upload your designed templates with just a click on the button. You don’t really have access to every single plugin when you work on a free blog. I hope, I have covered every single free blogging sites which can benefit you to create your own blog, the very first time. Hence, if you have your own blog, you can connect with people, share your ideas and shine all over the Internet. Thus, if you are a beginner and searching what else to do in your lives, blogging is one good answer. We know blogging is tough at the start but as and when you will dig deep in, success will definitely knock your doors. Hence, you just need to start your first blog, write content regularly and wait for the magic to happen. Still, from my personal suggestion, Blogger and WordPress are the two most renowned platforms which can make you take the first step, towards blogging. Other than that, if you know other free blogging sites names, feel free to tell in the comment section. And, as usual, I will be grateful enough to include the same, for sure. Finally, if you really liked this article of the “Top 15 Free Blogging Sites 2018”, share it with your friends, family. And, be the “Next Blogging King, the World has ever Witnessed” with grace and passion. 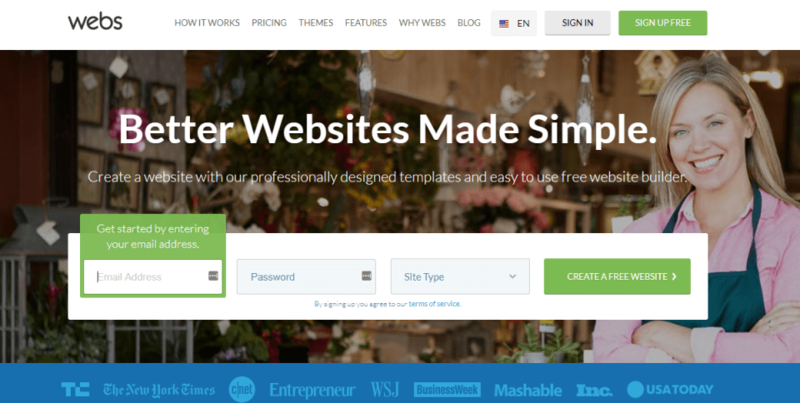 Click here to checkout best WordPress Premium themes for your blog. WordPress Vs Blogger Which is best to start blogging? It’s really useful information you have shared as always. Thank you. For making money as an initial purpose, which platform would you suggest for blog or website? Another Great Post by Amit Mishra. You are truly a legend. The way you write your articles really inspires me a lot. Your blog posts add great value to our lives. Expecting more great content from you. My pleasure brother I always try to make high-quality content and help people through it. I saw your all videos on YouTube. You have a best skill to educate people. very nice article keep up the good work.. This blog post is full of info brah, I’m inspired to learn to explore more blogging sites from now. My pleasure to help people through my blogposts. My pleasure to help people through my blog posts. As always Sir, you’re awesome and I love to read your blog whatever you wrote it’s like we are talking face to face. Thank you!! It is one of great information for new bloggers. it really helps them. Thanks, Amit for share this great post. Nice article this article become useful to me. Really Awesome Guide For Pro Blogger. Oooo… I got it what I was looking for here. Thanks Amit bro, for sharing this wonderful article. I really got helpful from you. Did you know ? I am a great fan of you . You even don’t know that I am a subscriber who has seen your all video from 1st to last . Thanks again bro !! Sir, I am your great fan and I like your tagline “Try oo Tech Tryootech naam mat bhoolna”. 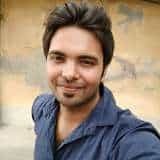 Sir I also start a blog. You are my inspiration. This article is very helpful and important. So Amit Bhai I will share this article on my social media platform. It was really helpful for me and I read watch all your videos on youtube. I got many information from you thanks. It was really informative for me and I read watch all your videos on youtube. I got many information from you thanks. Hi Amit, it’s a pretty good article for me. And thanks for sharing your thoughts and knowledge about blogging. 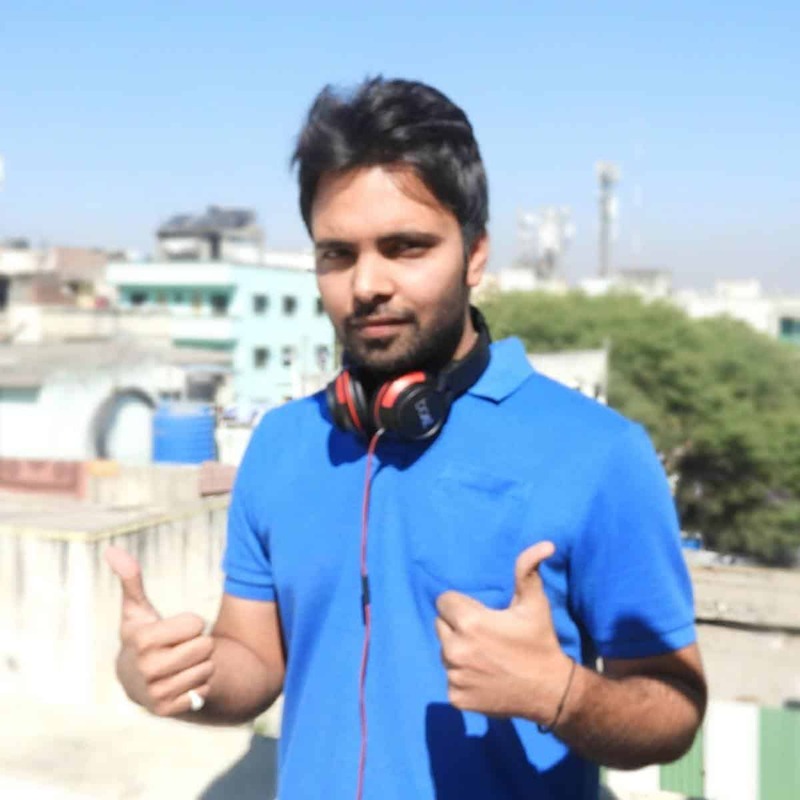 Bhai kya aapke tryootech.com me adsense approve nahi diya kya? Ads kyo nahi lagate aap? Great post! Blog commenting is an acquired skill which depends on a couple of factors which are very well explained and articulated especially favourable circumstances to comment on blogs than q for sharing a great blog…!!!!!!!!! Thank you for this great information sir ji. t was really informative for me and I read watch all your videos on youtube. I got many information from you thanks.. Your website is so cool. Thank you for sharing superb information. I am impressed by the details that you have on this blog. Can you tell me which is the best blogger or WordPress?